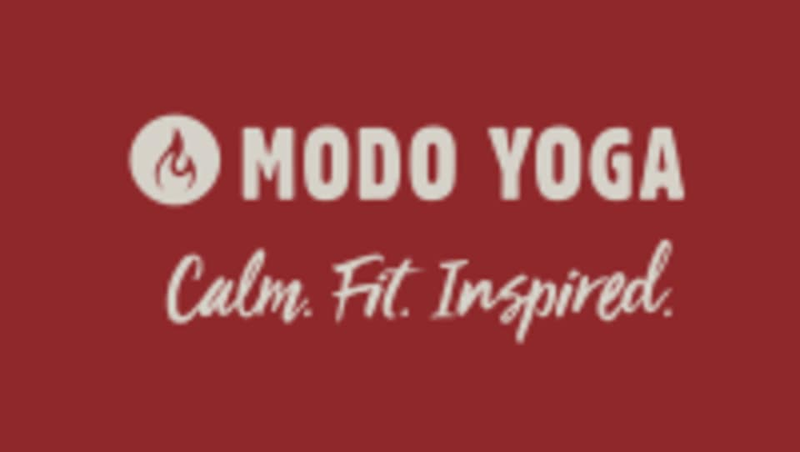 Modo Yoga is a green, clean, hot yoga & Barre studio with classes that stretch, strengthen, and tone the muscles while helping to detoxify the body and calm the mind. Please be sure to arrive five minutes before class starts or risk your spot being given away to a walk in. Thanks! Modo Yoga has rental mats, practice towels, and shower towels. Feel free to rent or bring your own. Great workout— loved the mix between yoga and barre. Still sore!! Kickass class. Delightful instructor. Two days later and my calves are still burning! I absolutely love Lauren and everything about Modo as a space and community. Amazing. Very challenging. Full body! Phils class was great. The temperature wasnt crazy hot, but enough to get a sweat on, which I really appreciated. Took off one star because the woman at the front desk seemed not-too-thrilled that I was visiting the studio through CP. Challenging but refreshing. I was pleased with the amenities. Laura always has the best barre classes! Always refreshed and sore after a great full body workout! Caits class was awesome! Lots of new moves I havent done before. Not as much barre work as I was expecting, but still a good workout. Im definitely feeling it today! Great instructor! She made me feel grounded at the start of class and then delivered a super challenging class! I was bored at times, it seemed like the instructor was improvising and didn't plan for class. Inconsistent reps on each side. Only very basic moves at the bar. Was not the best use of 75 mins on a Saturday.